August 5, 2018 - This summer, the boy remembered that he likes salads and ham sandwiches, so we did not venture out to fast food for lunch as often as I would have guessed. - McDonald's has Super Mario toys as the goodies in their Happy Meals. The next promotion shown is Justice League. - Burger King's kids meal web site features NERF toys. - Sonic shows Rise of the Teenage Mutant Ninja Turtles toys in their Wacky Pack meals. - The Chick-fil-A site shows 3D Cow Puzzles as the goodies in their Kid's Meals. - McDonald's has Incredibles 2 toys as the goodies in their Happy Meals. The next promotion shown is not really shown, but they have a vague reference instead - "level up to a new super adventure." - Sonic shows Trolls: the Beat Goes On toys in their Wacky Pack meals. - The Chick-fil-A site shows nine different Rory's Story Cubes as the goodies in their Kid's Meals. 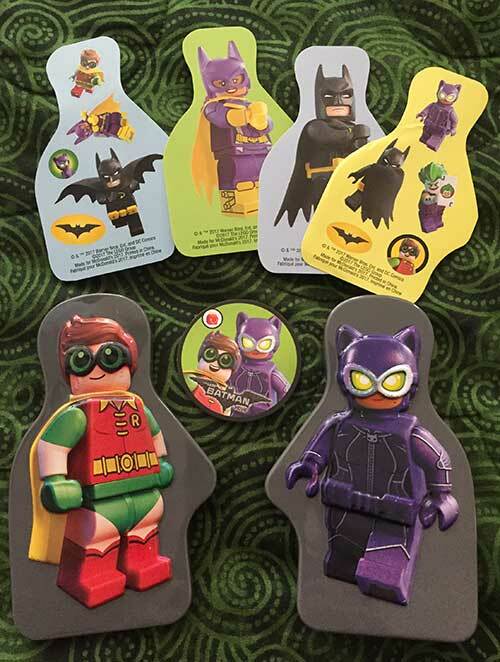 - Burger King's kids meal web site features Justice League toys. May 5, 2018 - Bleargghhhh! What happened to winter? We seem to have skipped winter in Colorado this year. My apologies to the East Coast folks who got all of our snow. - McDonald's has National Geographic Weird but True stuffed plush toys as the goodies in their Happy Meals. The next promotion shown is Hasbro Gaming. - Sonic shows plush Teen Titans GO! chibi toys in their Wacky Pack meals. March 5, 2018 - The Szechuan sauce at McDonald's was too much to resist, and the boy requested a trip to McDonald's so he could try it out. Turns out he did not care for it. - McDonald's has Peter Rabbit toys as the goodies in their Happy Meals. The next promotion shown is Snoopy. - Sonic shows plush Totmoji toys in their Wacky Pack meals. - The Chick-fil-A site shows five different Curious George books as the goodies in their Kid's Meals. - Subway Kids Meals have Barbie and HotWheels toys. February 2, 2018 - This will come as a shock to no one at this point, but the boy did not want any fast food in January. We ate at a few regular restaurants, but did not go anywhere that required rolling down the car window. - McDonald's has American Greetings Valentine's card kits as the goodies in their Happy Meals. The next promotion shown is Peter Rabbit. - Sonic shows "surprise toys" in their Wacky Pack meals, so you could end up with something good from a recent past promotion, depending on what each location has in their back room. January 7, 2018 - So far this winter, we have been fortunate that the weather has been mild. Even so, the boy has been unmotivated to leave the house and get any fast food. It is better nutritionally, but the collector in me is still antsy. - McDonald's has a joint promotion of Yo-Kai Watch and Shopkins: Happy Places as the goodies in their Happy Meals. The next promotion shown is American Greetings card kits. - Sonic shows Dinotrux: Supercharged toys in their Wacky Pack meals. - Burger King's kids meal web site features Sherlock Gnomes toys. There are six different toys. October 21, 2017 - Who pressed fast forward on this year? My head is spinning. 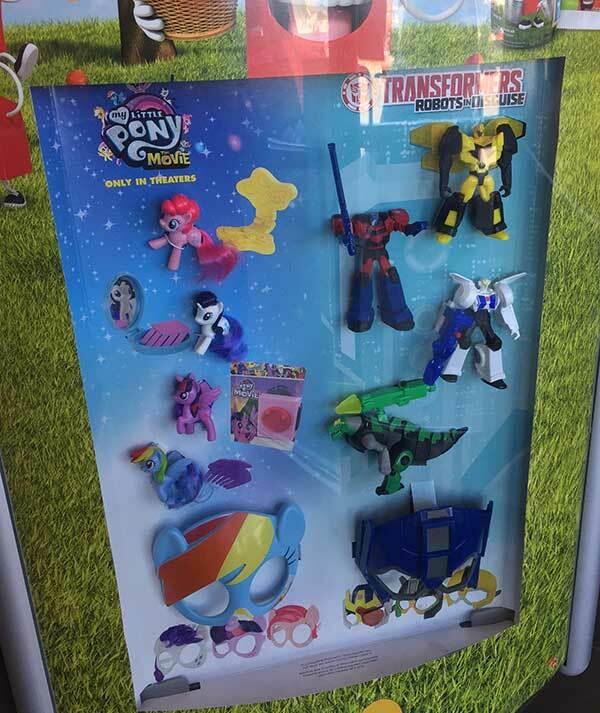 - McDonald's has a joint promotion of The My Little Pony Movie and Transformers: Robots in Disguise as the goodies in their Happy Meals. The next promotion shown is another joint promotion - Hello Sanrio and Pokemon Sun Pokemon Moon. - Sonic shows DC Super Friends (Superman and Wonder Woman) in their Wacky Pack meals. - Burger King's kids meal web site features a joint promo of Monster High and Max Steel toys. There are six different toys. June 23, 2017 - We are a month into the boy's summer break and apparently he does not want to spend it driving around with me to every fast food place in the area. Hmmmph. 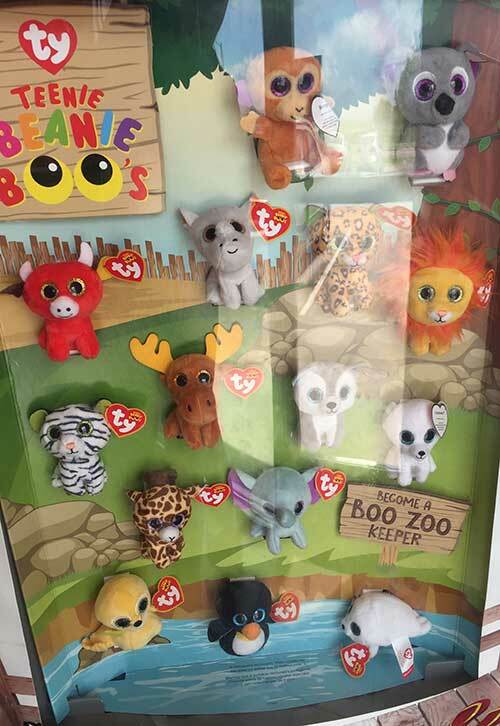 - McDonald's has Teeny Beanie Boos plush toys as the goodies in their Happy Meals. The next promotion shown is Despicable Me 3. We've already gotten a set of the Boos from eBay and will likely be getting a set of the DM3 toys there as well. As a general personal guideline, I try to pay in the range of two or three dollars per toy when I buy a set online like this. April 24, 2017 - Whoa, I blinked and March was gone, probably to the same place as 2003. - McDonald's has Smurfs: the Lost Village movie toys as the goodies in their Happy Meals. The next promotion shown is Super Mario. - Burger King's kids meal web site features a joint promo of Dreamworks Voltron and Care Bears toys. There are six different toys. - Sonic shows Teen Titans Go! in their Wacky Pack meals. They have replaced the games on their MyWackyPack.com site with an app for mobile devices. February 20, 2017 - The kid had the day off from school, so I talked him into McDonald's for lunch. He had a 20-piece chicken nugget box and I got a Happy Meal and scored the The LEGO Batman Movie Robin/Catwoman tin with stickers. 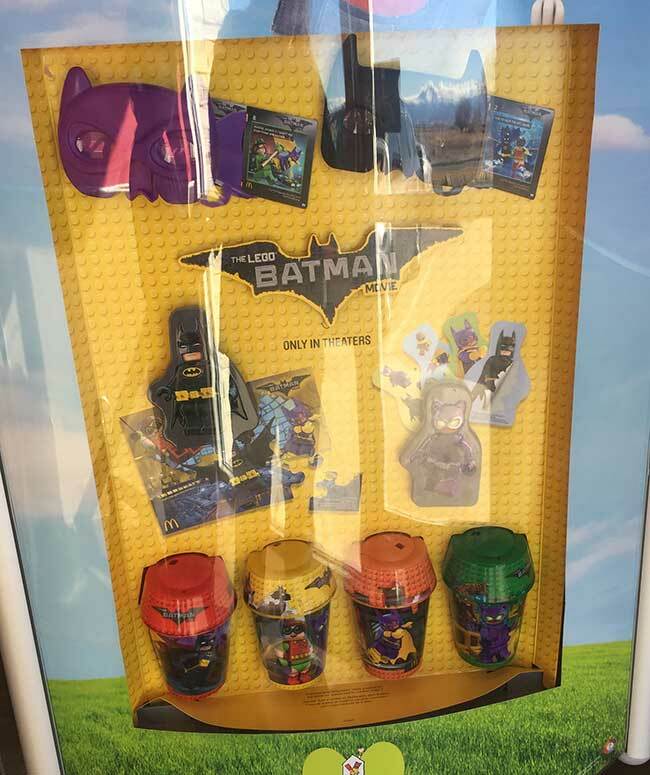 - McDonald's has The LEGO Batman Movie toys and cups as the goodies in their Happy Meals. I might have to get a set on eBay because I think I need those cups. The next promotion shown is a joint promo of HotWheels and Barbie. - Burger King's kids meal web site features Dreamworks Trolls toys. There are six different toys.